The National Institute works at the state and local level to promote reproductive rights and expand access to reproductive health care through bold advocacy, creative education campaigns, and high-impact partnerships. 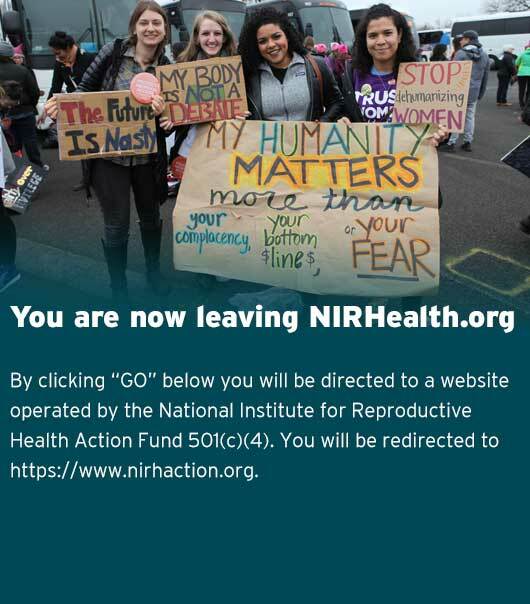 * The National Institute for Reproductive Health Action Fund, Inc. is not affiliated with NARAL Pro-Choice America. "NARAL" and "NARAL PRO-CHOICE AMERICA" are trademarks of NARAL Pro-Choice America.